Broccoli Raab Spring Brassica Rapa is a large plant that belongs to the Cabbage family. 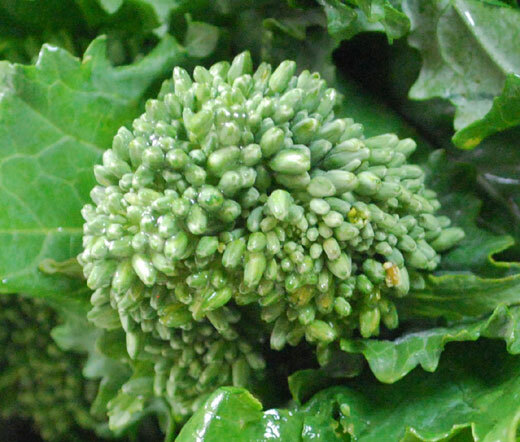 Broccoli Raab Spring seeds can be planted throughout the season for spring and early fall harvest. Also called Asparagus Broccoli, Brassica Rapa produces dark-green leaves and clusters of small flower buds on short stems. There is not just one central flower bud but lots of buds from side shoots. Broccoli Raab Spring Brassica Rapa is loaded with folic acid and vitamins, and its unique, mustard-like flavor makes this Broccoli perfect for using in salads, stir-fried or steamed dishes. In Italy, this Broccoli is often called Broccolo Asparago and traditionally cooked in olive oil with garlic and pepper flakes. Brassica Rapa seeds are easy to grow, and if the seeds are sown in fall, the Broccoli Raab Spring can grow over winter in mild climates.